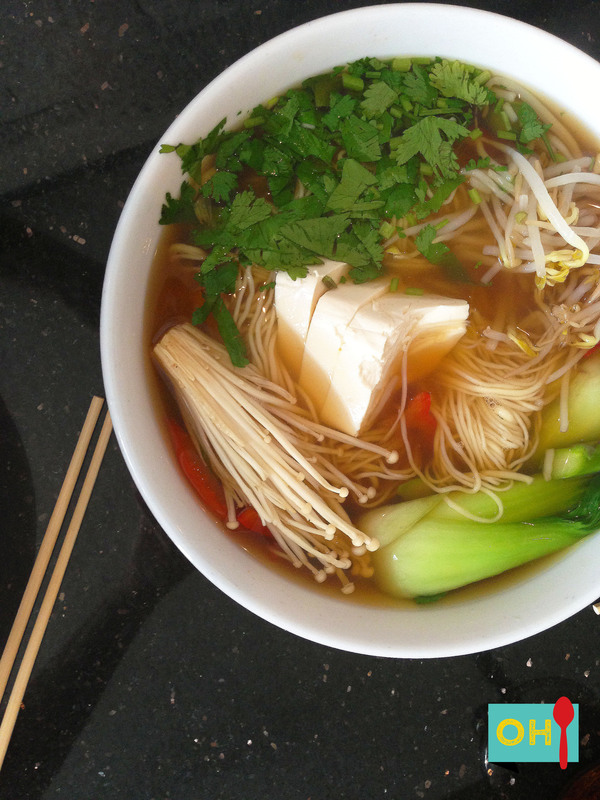 Located in the Mueller development near the H-E-B gas station, Xian is a quiet little restaurant to grab a quick bite to eat. Whether on the run with coworkers, or meeting a friend for lunch, stop in here. The ambiance is nice and casual, with black granite tables and a bar almost the length of the small restaurant. I especially like that there are mostly booths, as it feels more intimate. 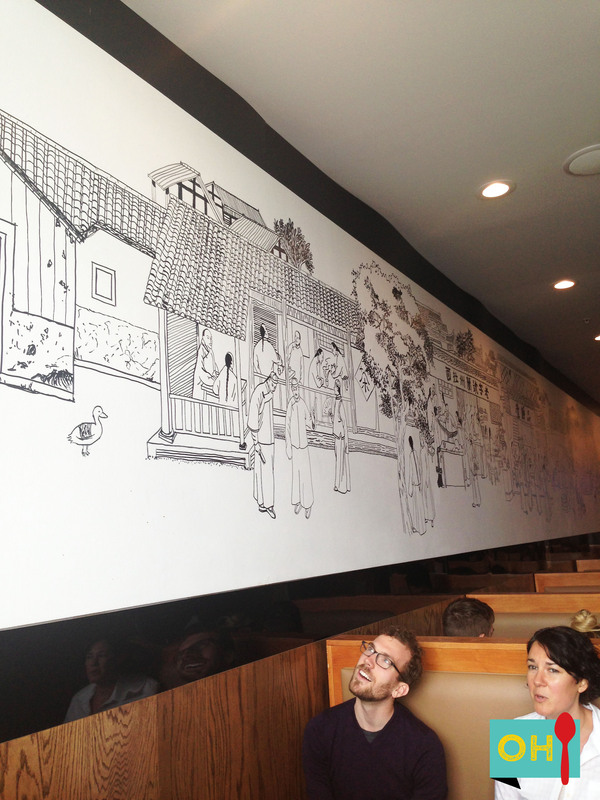 I loved the black and white mural all along the opposite wall from the bar. My instinct was to get sushi, but with my coworkers both getting noodles, I decided to go with the pack. I got the fried noodles from the lunch menu ($7.95), which comes with miso soup. Allison got the vegetable noodle soup from the regular menu, which also looked delicious ($8.50). The noodles are hand pulled and you get to choose from six different kinds: Vermicelli, Spaghetti, Thick Spaghetti, Fettuccine, Pappardelle and Triangle. The waitress informed us that the only difference is the texture. I got vermicelli, which is a very thin pasta. If you like spice, you’re definitely going to have to add your own, but the homemade chili oil provided is delicious. The only drawback is parking—we definitely had to go round and round for parking, but if you park on the street side, you may have better luck. 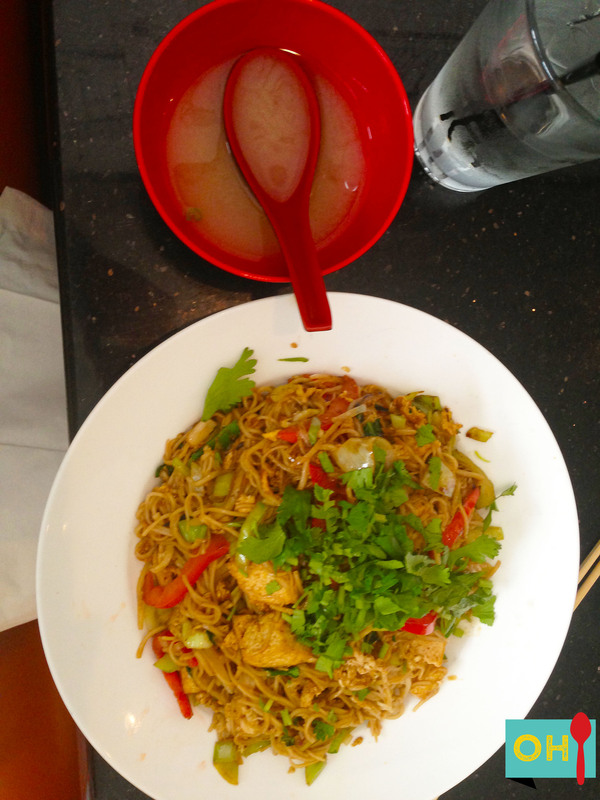 Love: Fresh noodles and great lunch and happy hour specials. Mon.–Sat. Lunch 11:30 a.m.–3 p.m.; Dinner 5 p.m.–10 p.m.